Travel to Tybee Island for lunch on your own at the Crab Shack on Tybee Island where the Elite Eat in their bare-feet and dine on steamed seafood, enjoy a fun atmosphere, spectacular scenery, exotic Birds, and an Alligator Pond with over a hundred of these reptiles to view. 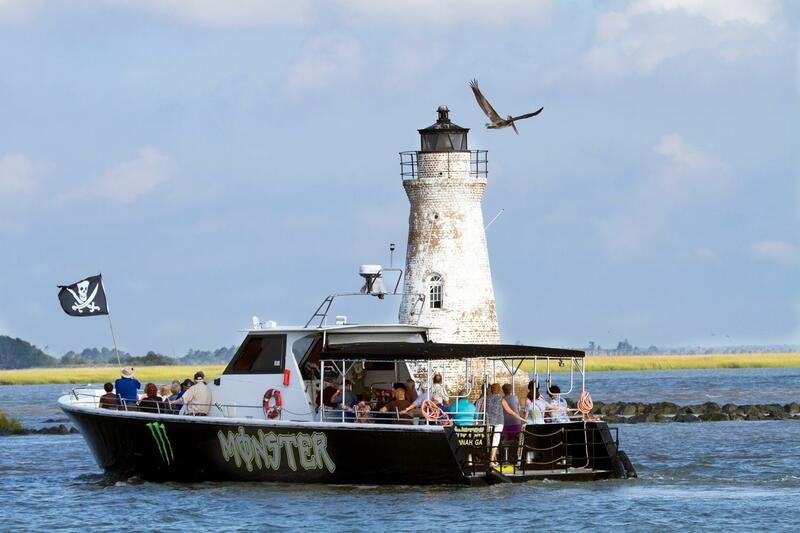 Board the boat for a Dolphin Cruise through Tybee Island’s-waterways in search of the ever-prevalent bottle-nose dolphin playing in their natural-habitat, bird life, estuaries and marshes they to call home. Views of historic Fort Pulaski, Cockspur Island Lighthouse (built in 1856) and Tybee Island Lighthouse. 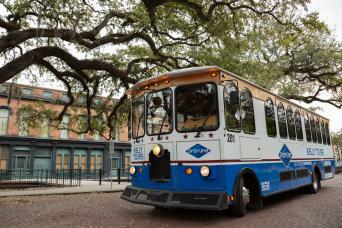 Complimentary pick up and return to Historic District Hotels as well as the Savannah Visitor Center. Lunch at the Crab Shack on own - Not included in the price of the tour. The cruise includes views of Historic Fort Pulaski, Cockspur Island Lighthouse (built in 1856) and Tybee Island Lighthouse. Following the Dolphin Cruise we will stop by the Tybee Island Lighthouse for a photo opportunity before returning back to Savannah. Cost of lunch at the Crab Shack not included in the price. 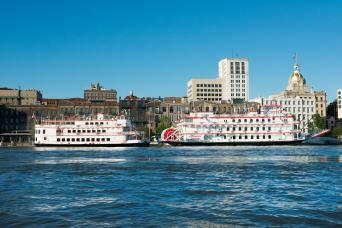 Departs from both the Savannah Visitors Center at 301 Martin Luther King Blvd and Historic Hotels. Tour departs promptly at 12:00. In compliance with federal regulations, there is to be no feeding or touching the dolphins at any time. Travel to Tybee Island for lunch on your own at the Crab Shack on Tybee Island where the Elite Eat in their bare-feet. Amazing steamed seafood, a fun atmosphere, spectacular scenery, exotic Birds, and an Alligator Pond with over a hundred of these reptiles to view. Following lunch, we will board the boat for a Dolphin Cruise through Tybee Island’s-waterways in search of the ever-prevalent bottle-nose dolphin playing in their natural-habitat. The ship’s captain will point out the bird life, estuaries and marshes that provide shrimp, fish and crab with a perfect place to call home. Also on the cruise are views of historic Fort Pulaski, Cockspur Island Lighthouse (built in 1856) and Tybee Island Lighthouse. 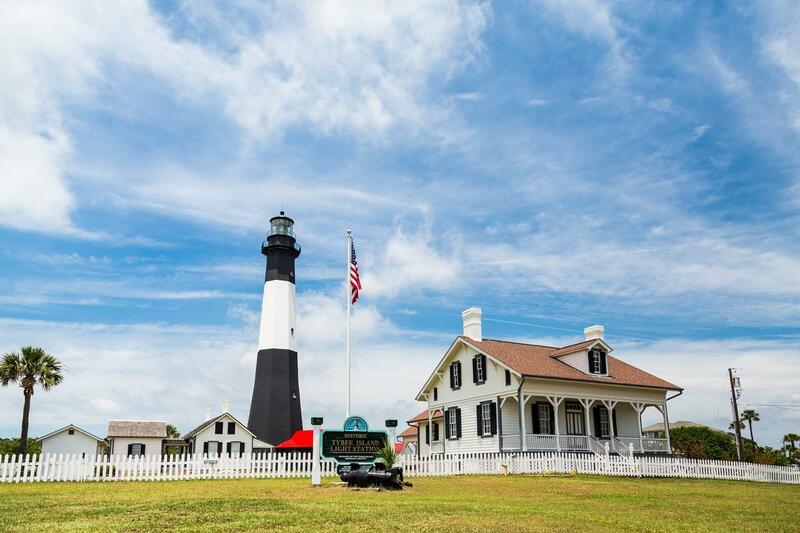 After the Dolphin Cruise we will stop by the Tybee Island Lighthouse overlooking the Atlantic Ocean for a photo opportunity before returning to Savannah. Adults $49.00 (13 and up) and Children $25.00 (3-12). 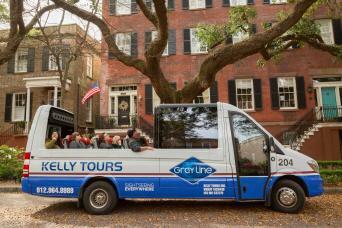 Tour departs from both the Savannah Visitors Center at 301 Martin Luther King Blvd and Historic District Hotels. Tours depart on time and the time on your voucher and is the full length of your tour. The Dolphin Cruise will last approximately one to one and half hours (depending on where the dolphins are playing).